A unoccupied business on Quackenbush St. in Fort Hunter was struck by lightning during a powerful storm that passed by. 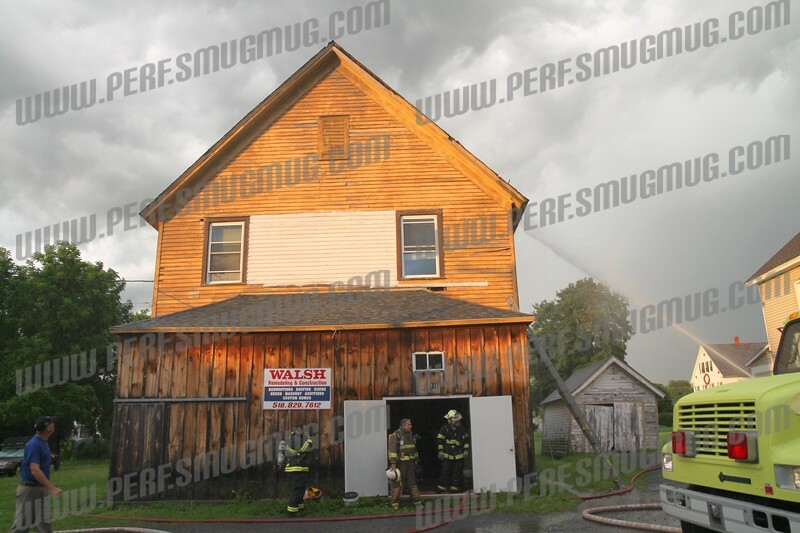 first on scene firefighters reported flames visible on the roof of the 2 ½ story barn type building. Firefighters from Fort Hunter, Tribes Hill, Town of Florida, Town of Glen, and Fultonville responded to the call, Fort Johnsons ladder truck was called to ladder the roof. Interior damage was minor, firefighters were able to save most of the buildings contents during salvage operations.